The Queen Bee is excited to partner with Haven Defense at this year’s Bee-U-Tique. We will be offering a full class on Friday morning and demos at noon and 5pm on stage at the Bee-U-Tique. 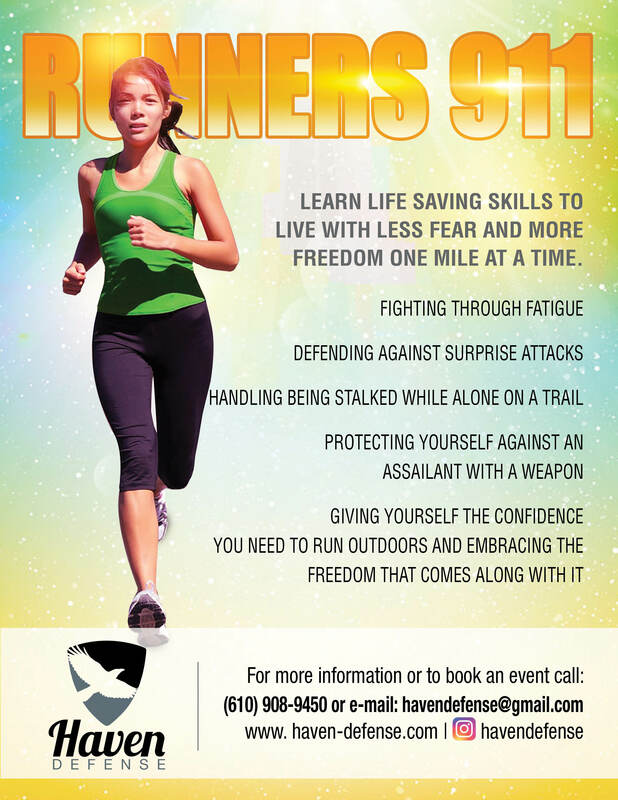 “Fighting Through Fatigue” – a Self Defense Class for Runners! Taught by Suzanne Dougherty – instructor KRAV MAGA, marathoner, mom, and founder of Philadelphia-based Haven Defense. You will walk away from this session empowered and more confident!